What makes Sheridan Sheet Metal stand out from the other copper gutter installers? We’ve been installing quality architectural sheet metal since 1950 and it shows through in every job we do. We are the leading copper gutter and custom architectural copper fabricator, distributor, and installation company in the Twin Cities Metro area. We service all of Minneapolis, St. Paul, Minnetonka, Long Lake, Orono, Excelsior, and the surrounding areas including Stillwater and western Wisconsin, offering professional service to clients with needs of designing, installing and maintaining architectural sheet metal, including custom architectural copper and copper gutter systems. Our mission in having a successful business is to maintain the highest level of professionalism, integrity and honesty. We believe when you are up-front with people, and give them a good quality job, they will remember you, and they will recommend you to others. 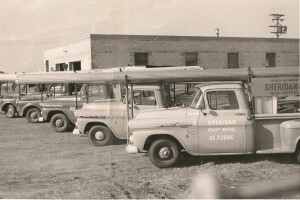 Sheridan is a unique company in the copper and architectural sheet metal industry. We work with architects and designers to properly specify our products and have strong working relationships with roofers, builders, contractors, and even help homeowners or building owners with the function and design of their projects. Sheridan is often involved in a construction, remodeling, or reproduction project from conception, through production, and installation. 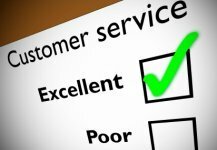 Our job isn’t finished until the project is installed to our customers satisfaction. The average employee at Sheridan has worked for us for over 10 years! They come from a wide variety of educational and employment backgrounds but have one thing in common, excellence in the sheet metal industry. Our experience allows us to help many customers with installation suggestions or to help them understand the necessity, function, or quality of our products. We have been awarded multiple customer service awards, are a proud member of the Builders Association of the Twin Cities and carry an A+ rating from the Better Business Bureau. Sheridan is known for quality, For well over 60 years, lumberyards, contractors, roofers, and homeowners have depended on Sheridan Sheet Metal to supply them with the highest quality copper gutters, copper roofing materials, and copper flashing available. Our knowledge of the industry and purchasing power allow us to pick the finest materials at the lowest cost. Hard to find parts and made to order custom copper architectural adornments are our specialty. We are proud to be the leading distributor and installer of beautiful copper k-style and half round gutter, parts, and accessories in the Twin Cities metro area.